This 100% Pinot Noir is sourced from Rio Vista (72%), Parker West Vineyard (22%), and Bien Nacido Vineyard (6%) located in the Sta. Rita Hills, California. 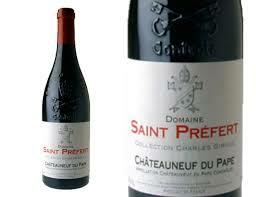 Aged 12 months in New French Oak (33%) this wine is mass produced with a total of 8,359 cases. 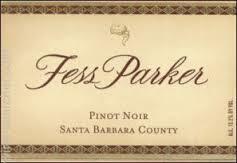 Fess Parker consistently produces quality wines that appeal to nearly every wine enthusiast. You will get a plethora of fruits including wild strawberry, pomegranate bing cherry, cranberry, and black raspberry. All together, this produces a harmonious profile, elegant and complex. Best served with braised short ribs and good friends. This blend of Pinot Blanc and Pinot Auxerrois originates from Alsace region of France. 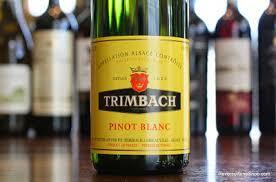 The trimbach family has been making excellent wine since 1626 spanning 12 generations. Brothers Pierre and Jean Trimbach have continued the tradition of producing structured, fruity, elegant wines. These grapes are sourced from a combination of Trimbach’s vineyards and about 120 local growers. Each varietal is fermented separately in stainless steel and concrete vats. Cellar aged for two years. This Pinot Blanc is the perfect everyday summer treat. Really nice notes of apricot and has good fruit acidity. Some people might even pick up a hint of yellow Sour Patch Kids. Finishes light and dry. Best served with light fare on a hot afternoon on your patio with friends. This blend of Cabernet Sauvignon (34%), Sangiovese (33%), and Merlot (33%) originates from Morellino, Tuscany. Andrea Bocelli is not only a talented winemaker, he is also a tenor vocalist. Once a year, he treats his friends and family to a vocal concert in his outdoor amphitheater in celebration of the wine’s release. Fermentation and malolactic in stainless steel. Aged in French oak. 10% aged for 8 months. This wine is a bang for your buck wonderful Italian blend. Bright cherry, cassis, and cocoa throughout. This is a large production wine with a small production taste (6,000 cases produced). Best served with Steak au poivre, cioppino, and Antipasti. Oh, and with friends! 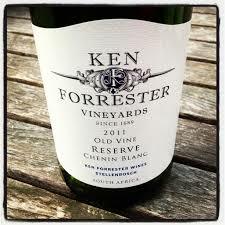 This 100% Sauvignon Blanc originates from the towns of Stellenbosch, Elim and Darling South Africa. These three distinct flavor profiles are blended together to create a blend of 100% Sauvignon Blanc. Soil is a combination of decomposed granite, “Koffieklip”. Yellow Ferricrete, Red Ferricrete, and White Quartz. This wine is a fantastic summer wine. Lots of tropical and citrus fruit and excellent dryness to the finish. Close your eyes and you will see peach trees surrounded by a field of long grass. South African wines are a fun treat. There is a distinctive crispness in their Sauvignon Blancs. When it feels like it’s 100 degrees outside, you will want this wine right next to you. Best served with jumbo shrimp cocktail and friends. This biodynamic and organic blend of Zinfandel (76%) and Petit Sirah (24%) originates from Black Sears vineyard on top of Howell Mountain. At an elevation of 2400 ft, this is officially the highest vineyard on the mountain. Barrel aged 18 months in Chateau-style French Oak, new French oak (40%) and new American oak, (10%). Only 570 cases produced. Luscious dark fruit with blackberry, wild bramble fruit, and a lingering white pepper finish. 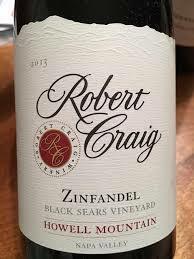 Robert Craig has followed up on their 2012 vintage with another elegant Zinfandel to celebrate. Not too much fruit, perfect structure…this wine is just right! Best served with a big hearty meal such as rosemary crusted lamb chops and garlic roasted potatoes. Save this one for yourself, it’s too good to share. This 100% Chardonnay originates from the O’shaughnessy estate winery in Oakville, California. They practice a winemaking philosophy that includes creating wines with unique character. O’shaughnessy’s winemaking style is contemporary, utilizing the most state of the art fermentation techniques with a strong commitment to balance and harmony. Aged in 38% new French oak barrels, 30% neutral French oak barrels, and 32% stainless steel barrels. 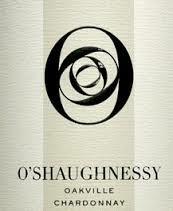 Ok, so have you had O’shaughnessy Chardonnay yet?! This is super high end wine that does not disappoint. You will pick up on white peach, pineapple, with a vanilla cream finish. And the finish…it’s perfect…it just goes and goes. Best served with grilled salmon, farm to table veggies, and your favorite people. This organic blend of Grenache (85%), Cinsault, (5%), Syrah, (5%), and Mourvèdre (5%) originates from Châteauneuf du Pape, France. Winemaker and owner, Isabel Ferrando, is relentless in her pursuit of quality. Her Grenache vines average more than 70 years old and her vineyard still has some of the original Mourvèdre vines from the 1920’s. Grapes are hand harvested and undergo whole cluster fermentation. Aged for 18 months in concrete before bottling. This wine is Awesome! Decant this wine for 1 hour and 15 mins and you will be in for a special treat. Intense dark fruit (blackberry and black cherry) combined with a pepperiness that stings the nostrils (in a good way). Best served with roast duck breast and good friends. Wine Advocate (89-91) pts. Vinous (90-92) pts.